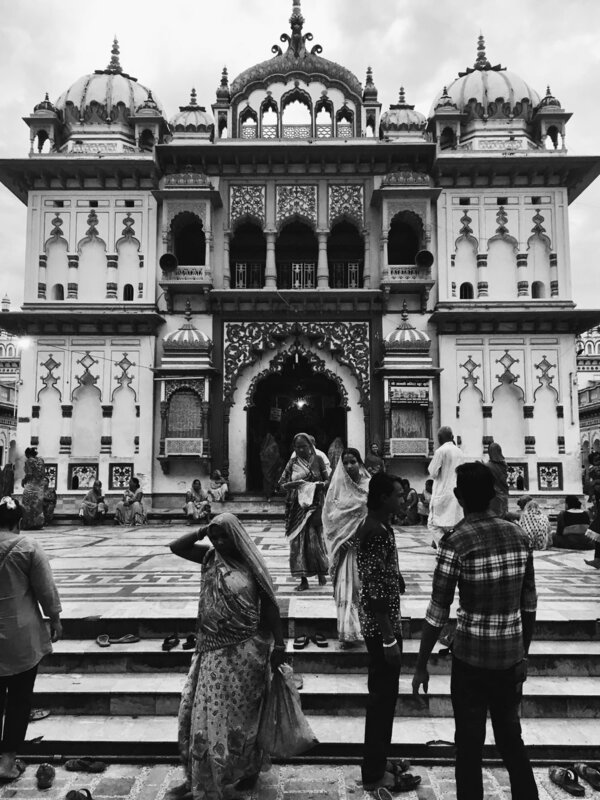 Coincidentally find myself in the heart of Janakpur, at the steps of the marble temple 'Ram Janaki Mandir' (Nepali: जानकी मन्दिर), dedicated to the Hindu goddess Sita, Rams wife and the heroine of Ramayana. It is the primary temple of the Maithali native indigenous. 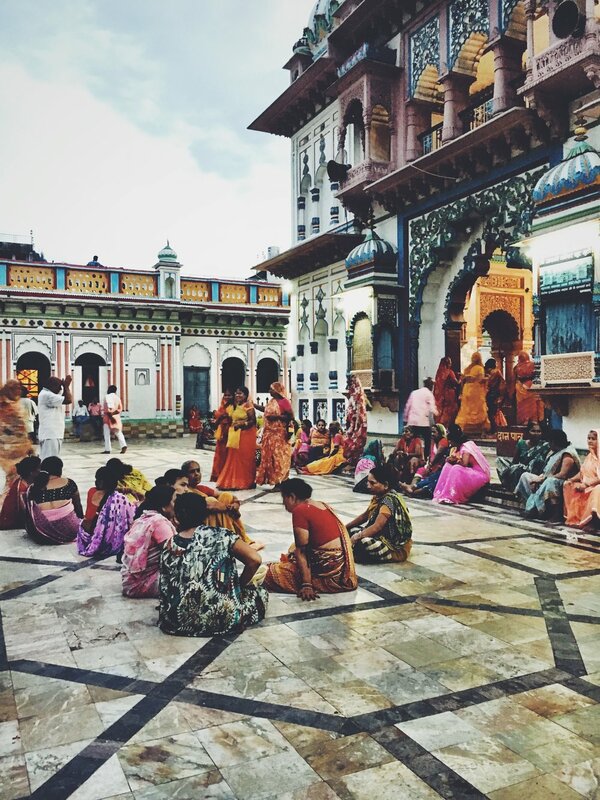 Tomorrow is the night of the new moon, and the female creative energy is building.. Women gather outside Sita's temple at dusk. The relationship between Rama and Sita symbolizes two entities coming together to form a whole - which also coincides with the celestial union of the sun and the moon coming together in the sky.. Sita is said to have been born out of the womb of the earth itself, and is known in Hindu mythology for her dedication, self-sacrifice, courage and purity. A steady stream of pilgrims flow in through the gatehouse to worship the goddess in the inner sanctum... Sita ram ram ram, sita ram ram ram..